How can I promote my listings to students on my campus? 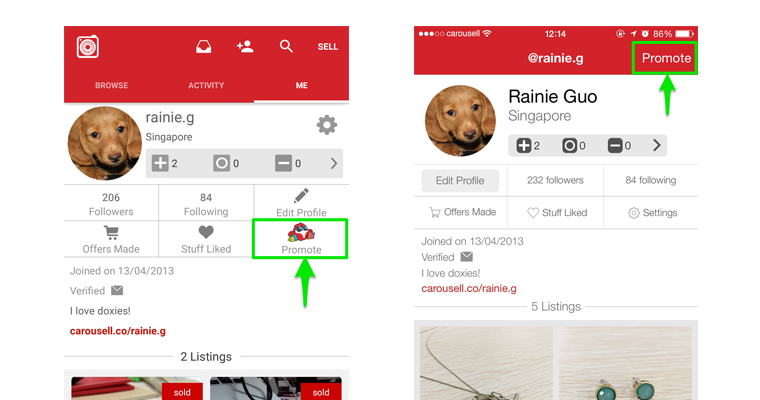 To share your Carousell profile on Facebook, Twitter and Instagram, go to "Me" and tap "Promote". A profile image will be auto-magically-generated for you so all you have to do is choose which social networks you want to promote to! 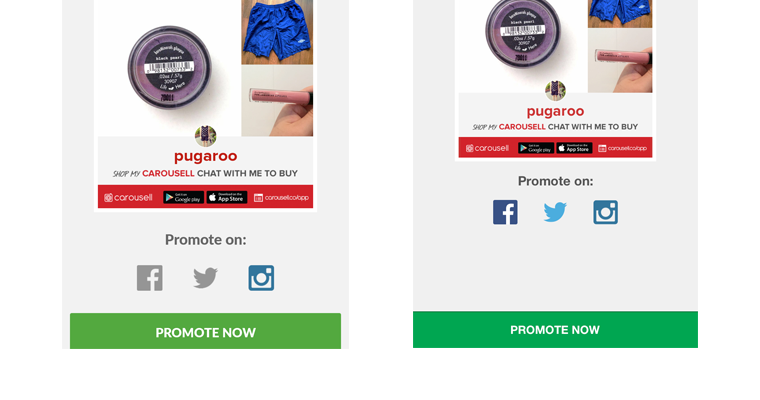 Tap those that you want to share your profile on, then tap the big green button - "Promote Now". You can also promote individual listings. 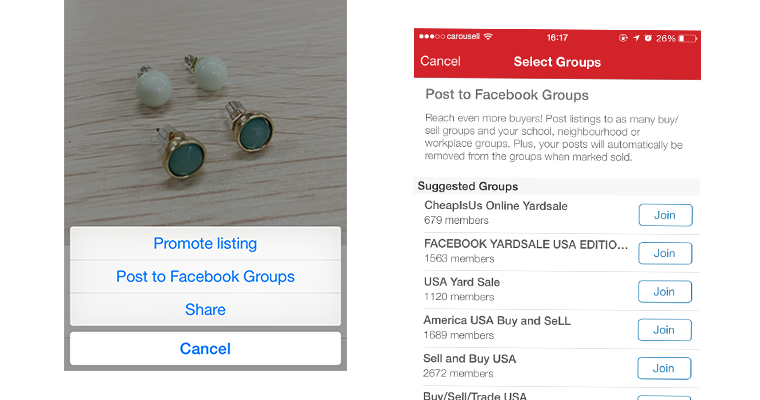 To do this, tap the "More" icon on the listing card. 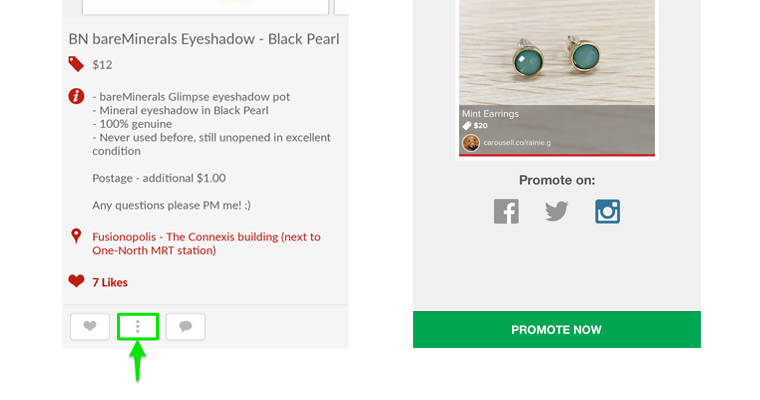 You can also promote an item from within the listing page by tapping the "More" icon at the bottom of the listing. 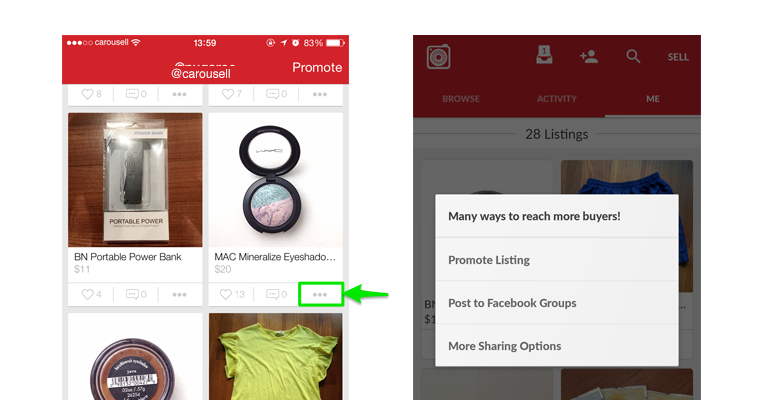 If you tap "Promote Listing", an shareable image for your item will be created that you can share on Facebook, Twitter and Instagram. Tap "Promote Now" when done. Tip: Most colleges have two Facebook groups - "Free and For Sale" and "Textbooks Exchange". Find these groups for your college so you can promote your listings to students on the same campus!